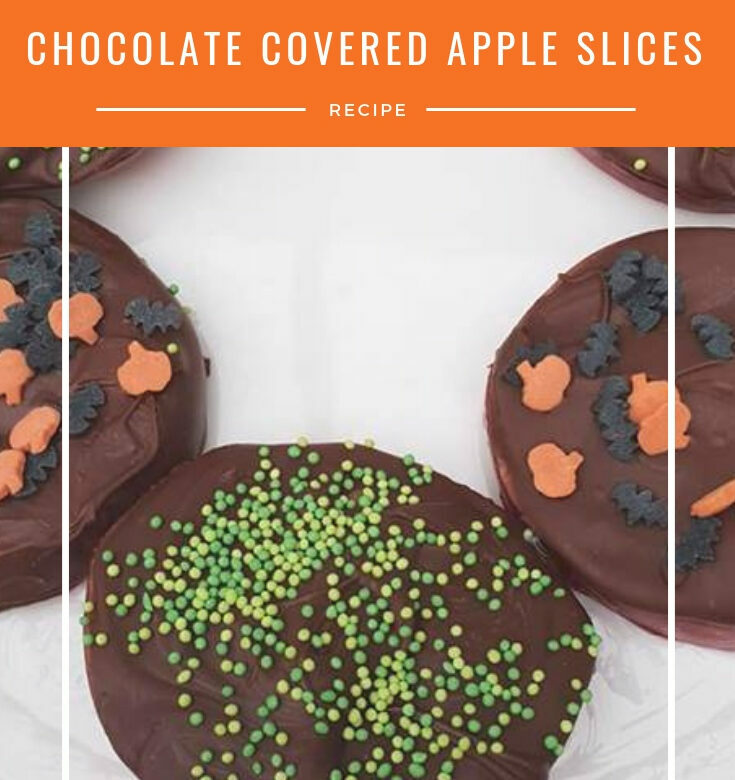 These chocolate apple slices are a great addition to a Halloween buffet. They’re great because they’re not too big. Chocolate dipped apples or toffee apples can often be too much for a child, especially if there are lots of other goodies on offer. You’ve probably seen me mention once or twice about our abundance of apples this year. I’m trying every which way I can to get them used up! Cut the apples into 3-4 slices. Slice the rounded ends of the 2 end pieces and discard so all the slices have 2 flat sides. Break the chocolate into pieces and melt. You can do this by placing the bowl over a pan of boiling water, ensuring the bottom of the bowl doesn’t touch the water or by microwaving. If you microwave the chocolate it’s best to check it every 20 seconds or so as it can easily burn. Insert a lolly stick into each apple slice and dip into the melted chocolate. Continue until all the slices have been dipped. Sprinkle the Halloween sprinkles over the chocolate apple slices and refrigerate until the chocolate has set. I love meat that has been cooked in a slow cooker and pork is one of my favourite meats. 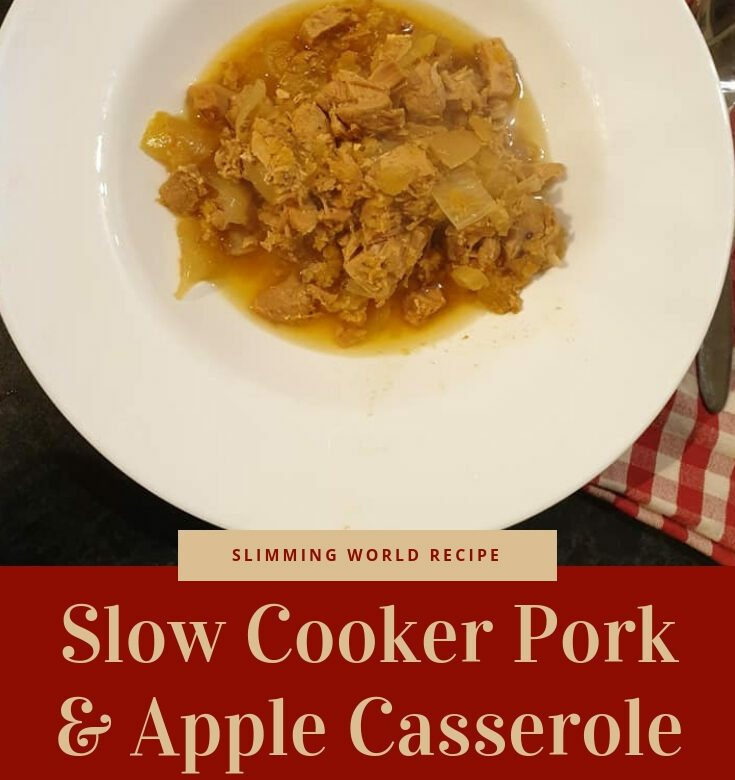 We also have an abundance of apples this year so this recipe for pork and apple casserole will help to get them used up! Put everything in the slow cooker and put it on low. Cook for 6-8 hours then serve with mashed potato and your choice of vegetables. I love Autumn for many reasons but the main one is because it means Christmas isn’t too far away! Below are 5 more reasons why this is my second favourite season. My first is Winter because, you know, Christmas!